Tech degree advantages , Feb.2016 ...applies best to math+computing! Jobs Rated 2014 : #1 Mathematician, #2 Professor, #3 Statistician, #4 Actuary !!! I am an applied mathematician and computational scientist , working on modeling, analysis, and computation of realistic physical processes in scientific and technological problems arising in biological, materials, energy, and environmental applications. 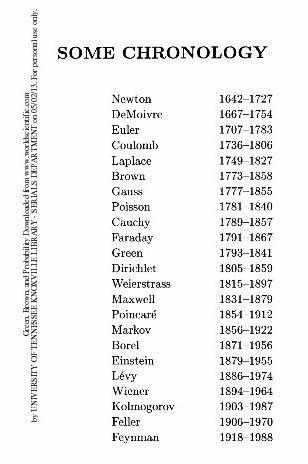 The common thread is that they all involve conservation laws (expressing conservation of energy/mass/momentum) which are nonlinear (systems of) Partial Differential Equations. Biography I was born and raised in Xanthi , Greece. I studied Mathematics at the Aristotle University of Thessaloniki, graduating in 1971, and came to the U.S. to pursue graduate studies. I completed a Master's Degree at St.Louis University in 1973, and another one and the PhD at the University of Delaware in 1977. After a year at the University of Texas, Austin, I came to UTK in 1978, where I have been Assistant Professor(1978-83), Associate Professor (1983-9), and Professor. For 30 years (1980-2011), I was also a part-time researcher at Oak Ridge National Laboratory, collaborating with scientists and engineers on various projects. LOGICOMIX, An epic search for truth told in a brilliant graphic novel , must read! New and emerging themes in industrial and applied mathematics. Mathematics Is Biology's Next Microscope, Only Better by Joel E Cohen, and his: Mathematics and Biology Challenges.